Explore Budgeting focuses on the skills needed to set and stick to a budget. But learning how to do it isn’t easy. First, how much money do you have available and what’s its relative value? What are projected expenses, and how do you keep track of them? And how can you avoid splurges and other unnecessary purchases? Author Judi Kinney tackles all these issues—and more—in this exceptionally practical, easy-to-teach curriculum. Math exercises are linked to real life characters’ everyday experiences. Photos and clear graphics enhance student appeal and provide visual cues to the content. A sequence of 78 lessons are detailed in the Teacher’s Manual. Lessons have an objective, background information, and step-by-step teaching procedures. 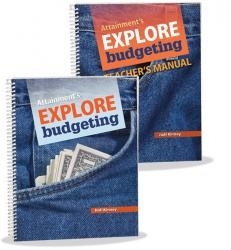 Explore Budgeting aligns to state and national standards, including the common core. 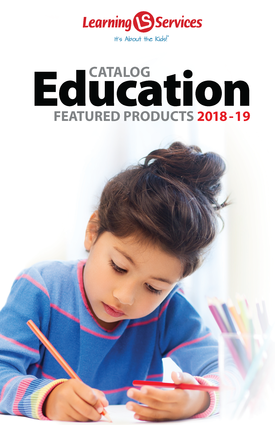 The Introductory Kit includes one Student Book, a Teacher’s Manual, and a Win/Mac CD with a PDF of the Student Book plus a Classroom License for printouts. The Classroom Kit includes eight Student Books plus the other items in the Introductory Kit. Individual Student Books are also sold separately.